This week, Your News to Know brings you the top news stories involving gold and the overall economy. Stories include: Gold to benefit from ‘wildcards’ in the economy, Fidelity continues to buy gold, and the yellow metal’s rally translates to increased scrap recycling. 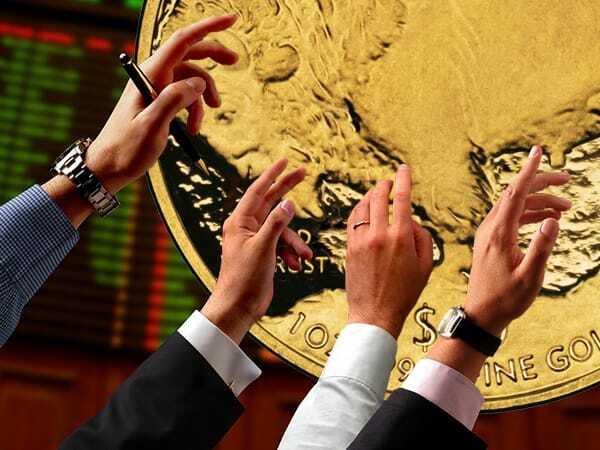 Despite a 50-50 chance for an additional Federal Reserve rates hike by year’s end, one notable economist sees gold continuing its rise thanks to multiple “wildcards” going into the next year. Barnabas Gan, a commodity economist for the OCBC Bank who was once named Bloomberg’s top gold forecaster, expects investors to remain long in gold namely due to growth risk from Brexit and the upcoming U.S. presidential election. “As such, despite our expectation for the Fed to hike rates by 25bps in December, we think that sustained risk aversion from the suspense will continue to lift gold demand on safe haven demand,” said Gan in a report last week. Gan maintains that gold prices will stay around $1,350 an ounce even in the case of a December hike. Should the Fed backtrack again, however, Gan thinks prices could reach $1,400. And while some are downplaying the Brexit vote, Gan warns that the “real unknown” is when Britain actually leaves the European Union: “[T]he market is relatively unsure of when, and of what consequence, will it spell for both Europe and global growth engines,” wrote Gan. The OCBC Bank economist is also optimistic about physical demand picking up and feels that China is bound to reassert its influence in the market. “The hope for stronger physical demand however, may lie in the purchasing power of the Chinese, given that Chinese gold imports from Hong Kong has risen substantially to 122k kilograms (highest since Dec 2015), and clocking three consecutive months of double-digit positive growth,” he added. Despite the yellow metal’s price rally, top investment firm Fidelity feels that now is as good of a time as any to buy. Nick Peters, a multi-asset investor with the firm, recently explained why it’s difficult to pinpoint the optimal entry point for gold. “Changes in the gold price are more closely linked to sentiment than fundamentals like the balance between supply and demand. However, investors may now be looking to now increase their structural holdings to gold, in order to protect against market volatility,” said Peters. Peters noted that equities are currently overpriced as they are being driven by central bank policy expectations rather than fundamentals, making gold a more appealing investment. Furthermore, the Fed’s dovish stance lessened the dollar’s strength and brought about low yield expectations; both of these helped gold on its rally. Of course, Peters also gives credit to gold’s persistent safe-haven value against a potential pick-up in inflation and mentions geopolitical concerns as a strong driver of demand: “Many investors have looked to add to gold on the back of fears over global growth, with worries over a slowdown in China particularly prevalent at the beginning of the year,” said Peters. Lastly, Peters disclosed that two of his multi asset total return funds now have a gold position. “This should provide a strong source of countervailing returns to equities if we see further volatility and allows the funds to continue seeking capital growth opportunities in what remains an uncertain environment,” explained the money manager. Gold refining has been slow in recent years due to prices going through a correction. Thanks to gold’s recent rally, however, gold recyclers are heading for their first annual increase since 2009: World Gold Council data shows a 10% jump in gold recycling in the first half of 2016 compared to the same period in 2015. Bloomberg reports that almost all of the gold ever mined is still around in some form, making recycling a key source of supply. Owners of refineries and gold dealers are reporting an increase in buying as ordinary people around the world scour their homes for old and unused gold jewelry. Likewise, the increased inflow has led Baird & Co., a refinery buying much of the U.K.’s scrap gold from collectors and pawn shops, to plan a 50% expansion of its 20-ton-a-year plant that sits near the London 2012 Olympic village. “We’ve un-mothballed parts of our plant,” said Tony Dobra, an executive director at Baird. “When prices were lower, we struggled to get enough material to meet demand. Now we’re seeing double the volume we did a year ago.” Degussa Precious Metals Asia Pte Ltd., a major bullion dealer in Singapore, also reported a 60% increase in scrap purchases from February to July. Yet it’s not just the dealers who are buying: While a strong dollar is generally seen as a headwind for gold, it’s caused the metal to flourish in several countries whose currencies have weakened. The Brexit referendum pushed locally-priced metal above 1,000 pounds per ounce to its highest level in three years. South Africa, one of the world’s top producers, also experienced a similar effect when gold prices in the local currency touched an all-time high in June.